A unique opportunity to purchase 'a piece of history' in the very heart of Ripley village. 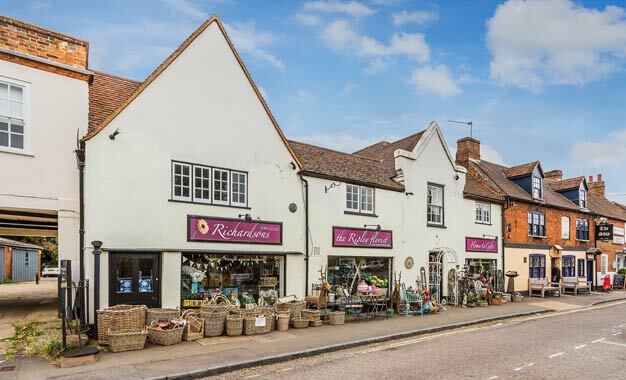 `Richardsons` is an extremely well-established Ripley based family Business that has been located in the Village since the Business was first established by the current owners Father in 1948. Our client has now elected to retire and hence, the entire property (ground floor retail premises and extensive four bedroom residential accommodation) is For Sale Freehold together with the benefit of the Business, Goodwill, Fixtures and Fittings (to be agreed) with Stock at Valuation. The Business currently specializes in Flowers and Gifts but historically has dealt with a myriad of Household Goods having previously traded in hardware and Classic British Motor Bikes. The substantial residential space includes a fully fitted kitchen and a nice sized sitting room with fireplace to the ground floor. The sitting room overlooks the pretty walled garden and would benefit from the addition of doors to fully appreciate the outside space. To the first floor are four double bedrooms, the main room being a superb size which lends itself to conversion into a large master-suite. From an investment perspective, there could be the possibility of splitting the 2600sqft of living accommodation to create several flats to sell or rent separately (subject to the usual consents). Trading accounts available on request. High Street, Ripley. GU23 6AZ.